. كما يقدم Baycrest Lodge Hotel الكثير من الخدمات لإغناء رحلتك في تابو. يمكن لضيوف الفندق الاستمتاع بالميزات التالية على أرض الفندق: مرافق مخصصة لذوي الاحتياجات الخاصة, تخزين الأمتعة, واي فاي في المناطق العامة, صف السيارات, خدمة الغرف . تعكس غرف الفندق البالغ عددها 16 المنتشرة في 1 طوابق جواً من الدفء والألفة.خدمات عصرية مثل تلفزيون بشاشة مسطحة, اتصال لاسلكي بالإنترنت, مسبح خاص, حوض الاسترخاء, غرف لغير المدخنين موجودة في بعض الغرف المختارة. يقدم الفندق خدمات رائعة كمثل حمام ينبوع ساخن, مسار جولف - ضمن 3 كم, حمام سباحة خارجي لمساعدتك على الاسترخاء بعد نهار طويل من النشاط والتجوال في المدينة. مهما كانت دواعي سفرك فإن Baycrest Lodge Hotel هو خيار ممتاز لإقامتك في تابو. It is about 1.2km from Taupo town. But it’s quiet, at least on the top room we stayed. We had a no disturb sign, and left the room at like 1pm. And when we came back in the evening, they did our room!!! !, which was totally unexpected. Wifi was super fast, although limited to 5GB only. Checkin and out took seconds, house keeping always did our rooms very good. If you walk out, you will have the lake infront of you, not to mention the beautiful views from your room, if you book the top room with view. Will definitely stay there again. Cosy warm rooms for a winter stay. Staff were very helpful and great to deal with. Great positioning, far enough from the main road not to hear traffic but close enough for a walk around the lake. Clean Room, Central, a couple of minutes walk to the lake, thermal spa family room was worth it. I chose this hotel biz of the reviews which this website provided. I was so disappointed. To be honest, compared to same price hotels, Not that valuable. Limited internet, not that clean spa pool and very old furnitures including bed. Really needed to upgrade. Well located right opposite Lake Taupo. 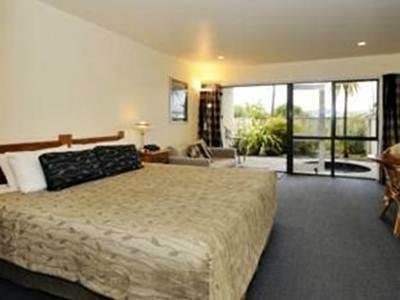 Spacious., clean and had a nice bathtub/jacuzzi. The motel was exceptional. Good value for money. Super clean. We enjoyed it very much. Very friendly, helpful owners. Shuttle to and from ferry dock. Large room with comfortable king bed, kitchen even had electric skillet, milk for breakfast coffee, I used the iron on my husband's shirt, bathroom decent size. Free wifi , tv, blue tooth with music center. 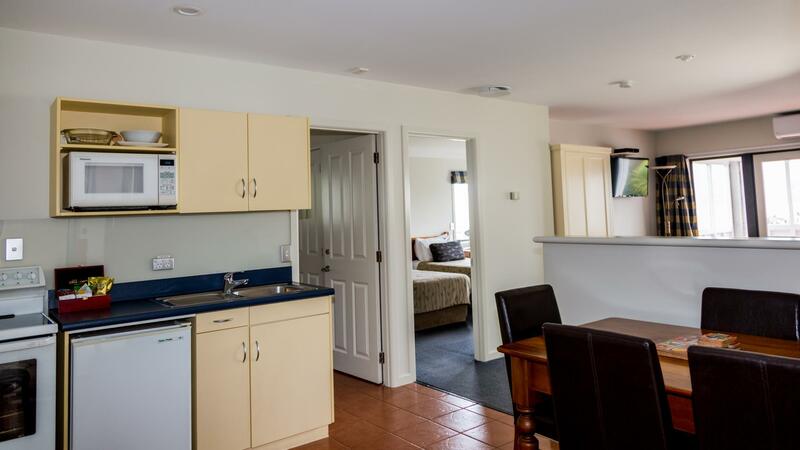 Warm and welcoming hosts; friendly staff; clean unit with everything needed to stay in, and conveniently located away from the main hustle and bustle to be quiet and peaceful whilst still only a 10min meander to the town centre, or 3min drive if taking the car. 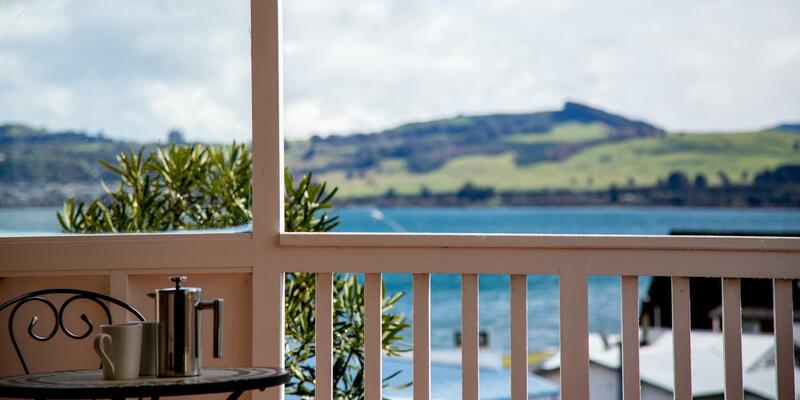 Enough of a lake view to be satisfied with a lovely perspective of the majestic Ruapehu, Tongariro and Ngaruhoe mountains, and more closely across to Acacia Bay. I definitely recommend Baycrest Lodge and look forward to returning soon. 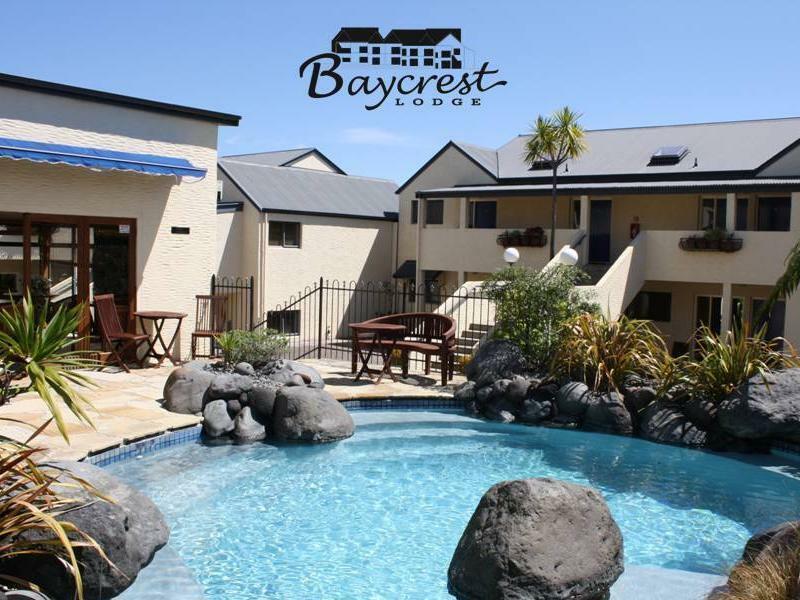 With our view of Lake Taupo, and the jacuzzi tub, our stay at the Bayycrest Lodge Hotel was superb. It's a short drive to the downtown area and the shops and restaurants. The parking lot in the interior area of the hotel courtyard is tricky...so plan on making some tight turns to get a spot near your unit. Enjoyed our stay. Arrived and jumped straight in the beautiful pool. Very relaxing and toasty warm. We were able to walk into town with our 8 year old. Felt like being at home. I have no hesitation in recommending this accommodation. Well done to Simon for an excellent establishment. The location of hotel was good, short driving distance to shops and restaurants. Friendly staff, great facilities with coin loundry and driers. No extra cost for relaxing in a private hot tub.